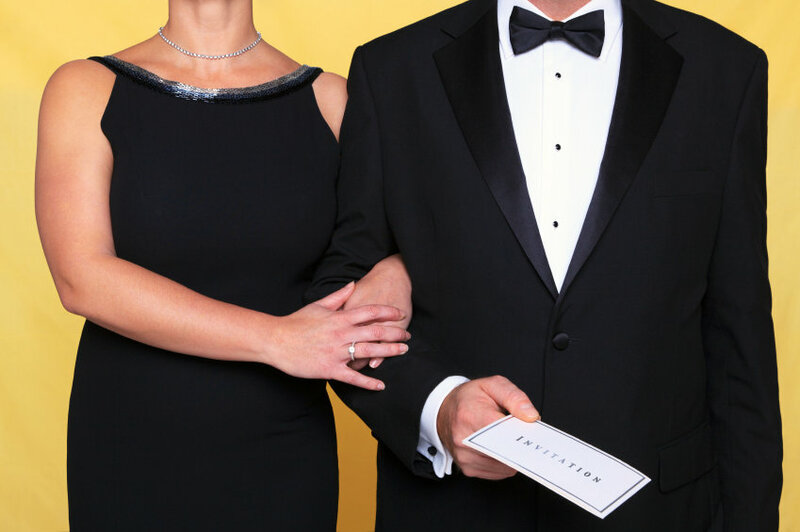 Black tie events are formal occasions which demand a certain standard of elegance and class. Not only do you have certain expectations from your guests when you propose a black tie event, but they too are hoping that you’re going to raise the bar from being just another party. 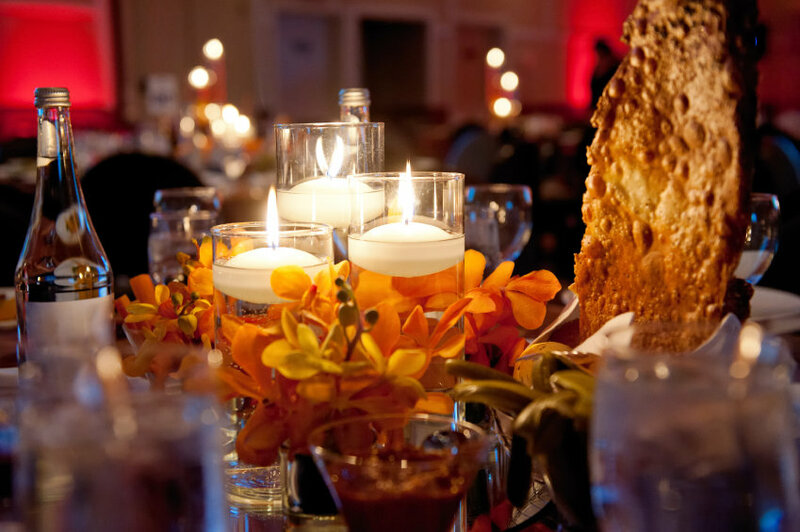 So if you’re thinking about hosting a charity or gala dinner then you might benefit from a few hints and tips to make your event a hit! In order to create the right atmosphere, it might be an idea to have a champagne reception. 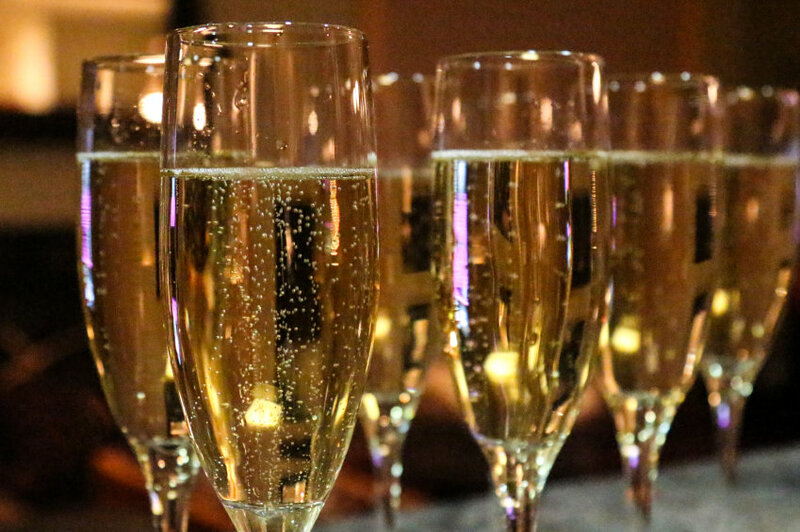 Offering champagne on arrival shows that this is a classy do and is a great way for people to mingle and chat before entering the main venue. For an extra special touch, you could hire staff to hand out the drinks instead of guests them helping themselves. If the venue offers an unlimited bar within their quote, then it’s a guarantee that your party will be up there with the best. However, it’s not always in everybody’s budget to provide all the alcohol, so a nice touch would be to provide bottles of wine for each table. The name ‘black tie’ should be enough of hint about dress code for guests, but it may also be wise to state this on the invitation so that there’s no confusion. Black tie and formal events aren’t held all that frequently, so this gives your guests an excuse to dress to impress! Nothing is too extravagant at a formal, so encourage guests to go all out in the wardrobe department. You may want to implement a colour code as well – black and white is the most popular option as everyone co-ordinates which make for fabulous pictures! If you wanted to, you could even have an award for the best dressed guest, and have a photographer circulating the venue so that people can have picture of them in their finery to take home with them. You want to keep it simple – if your dress code is black and white, then the venue might also benefit from monochrome decor. To give the room a classic and clean finish, you could put a flower arrangement on each table and perhaps a feature at the front of your space as a sort of ‘centrepiece’ to balance out the room. You need to strike the right balance with your music choice, as you might not particularly want to have chart toppers playing on a sound system as this would change the tone of the event completely. Instead, a live band might be more fitting. Having professional singers with instrumental backing would be ideal as they can modify their set as the evening goes on, perhaps getting a bit more lively in the latter half of the evening when the event is in full swing. Having live instruments really gives a sense of atmosphere and also can make your event a lot more memorable. The Talent are one of the best bands for hire in London – whatever the theme of your event; we have a range of options to suit the mood. To enquire about any of our services feel free to contact us at 0845 094 1162, otherwise you can visit our Facebook, Twitter or Google Plus pages for regular updates! This entry was posted in Blog, Event Planning. Bookmark the permalink.